Monasteries have always been hosts to the making of art. The life of the monastery cultivates a climate of rich creativity, giving color and form to the faith of the members and nurturing all manner of sacred art. The Community of Jesus is an ecumenical Christian community in the Benedictine monastic tradition. 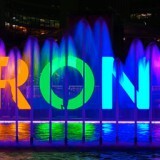 Part of its mission is to inspire both residents and visitors – and that is often accomplished through the creative arts. 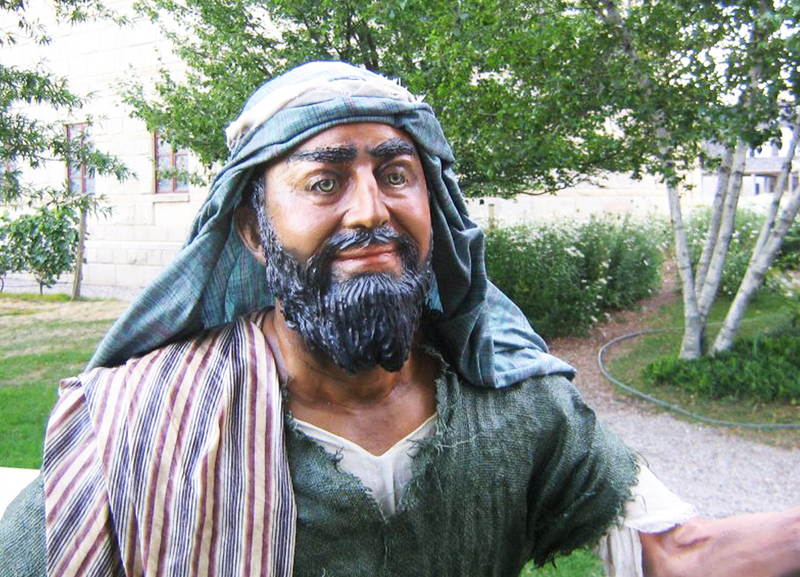 Amos The Shepherd – a perfect example of carved-foam art with meticulous attention to detail from the brothers at the Community of Jesus. 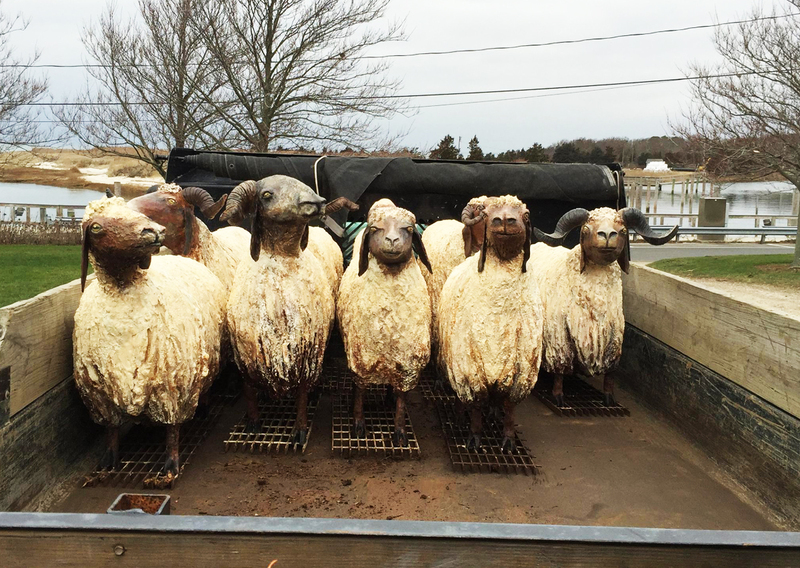 Our new nativity scene figures need to be able to withstand a couple months of heavy winter weather here on Cape Cod, bordering on the Atlantic Ocean. 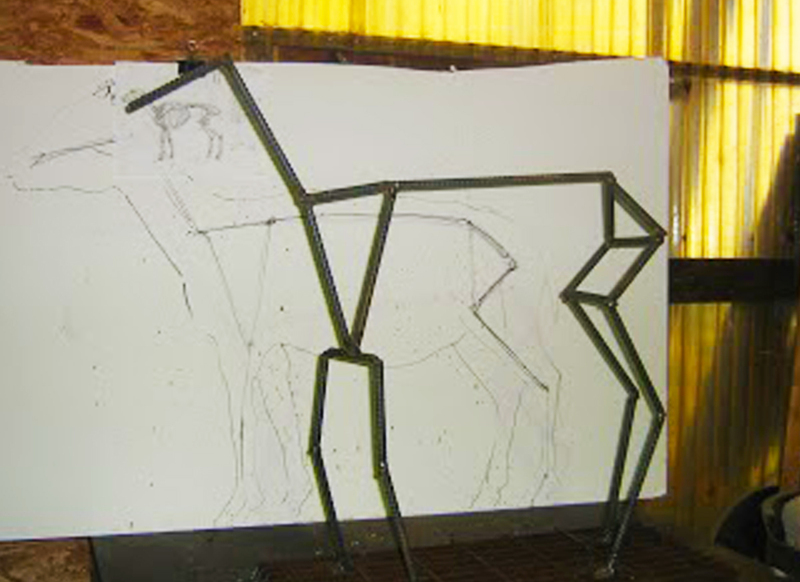 So that we could both build a strong figure AND be able to move it relatively easily, we decided to create the figures out of Styrofoam, using a steel frame as an armature. 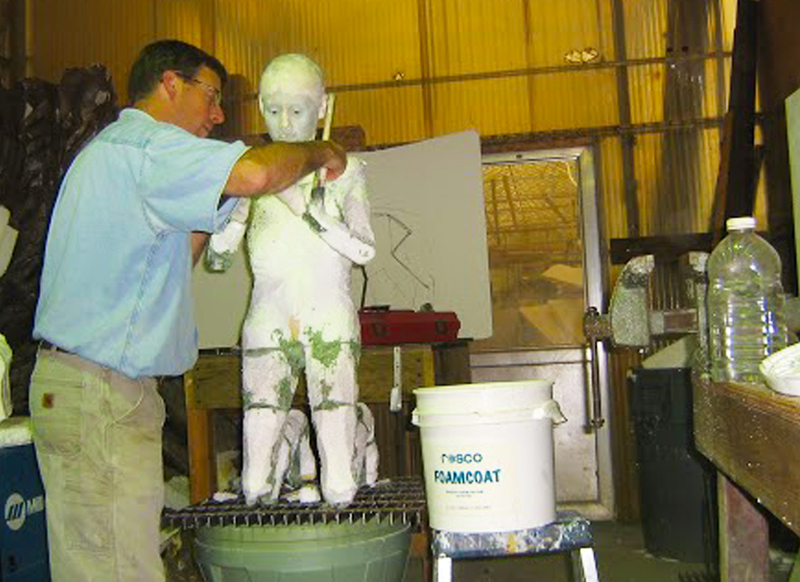 Once the Styrofoam was attached to the steel and then carved into human and animal shapes, we needed to coat it with Rosco FoamCoat to create a strong, durable surface over which we could add the clothing (draped in fabric hardener) and attach the head, hands, and feet, also made of a weather-durable material. To further protect the figures from weather damage, we coated everything with Spar Varnish (marine grade). 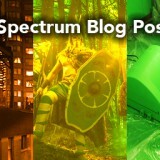 This not only repels water, but adds a UV protection from the sun for the years we plan to exhibit these figures. 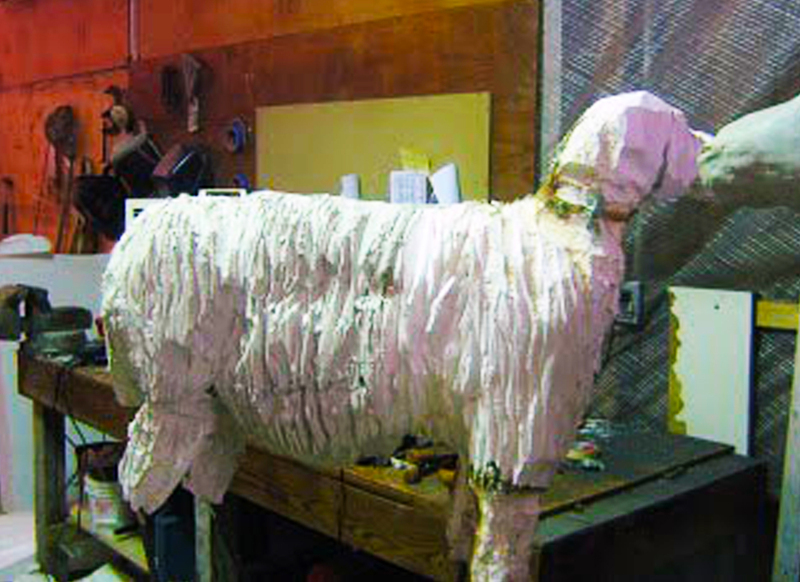 We also used the Foamcoat to add texture to our flock of Styrofoam sheep. 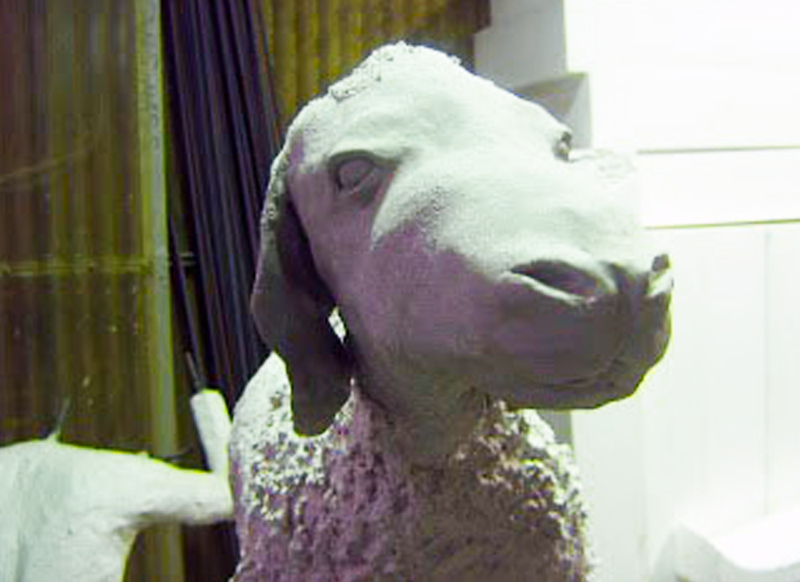 By adding ‘crumbles’ of Styrofoam to the Foamcoat, we get a hard, durable ‘woolen’ look to our sheep. FoamCoat is a great product and has been a huge asset to our ongoing creation of these figures that will eventually be a 25-figure, life-size nativity scene for the inspiration of the hundreds of visitors who come during Advent and Christmas to visit our monastery. 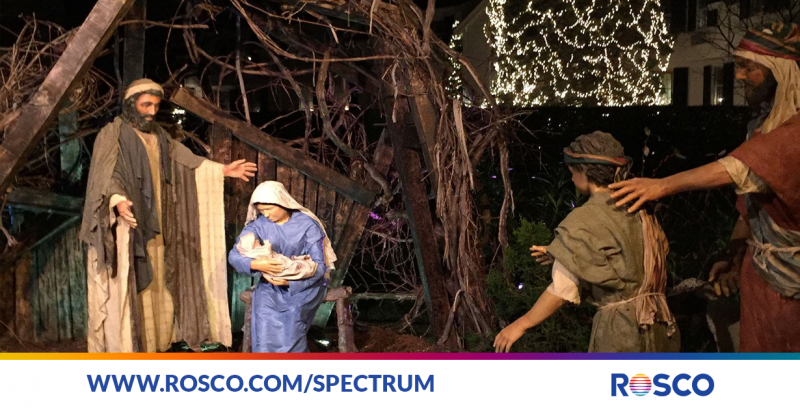 The life-size nativity scene is on display during most Advent and Christmas seasons at The Community of Jesus, 5 Bay View Drive, Orleans, MA. 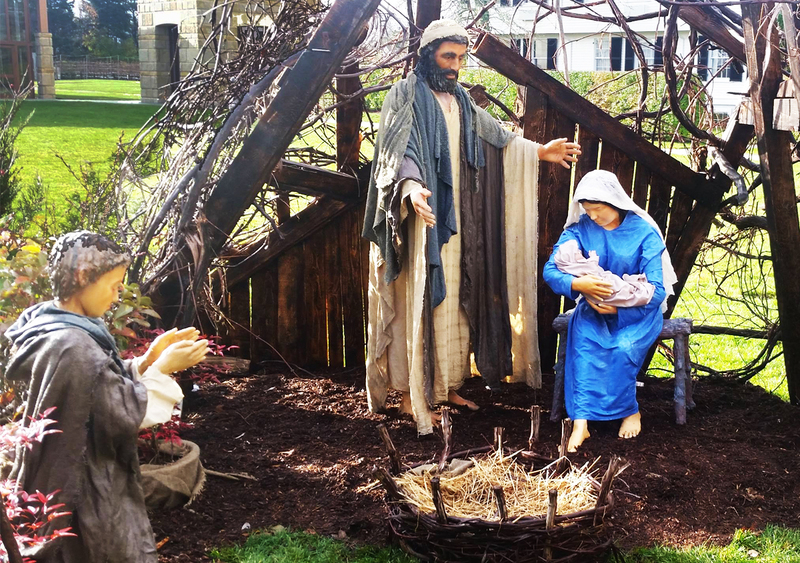 The Brothers’ crèche even got a write up in last weekend’s Cape Cod Times , where they have more photos of the individual nativity scene figurines in their photo gallery. We checked in with the brothers and sisters at The Community of Jesus. They reported that after five New England winters (and some of them were quite brutal! ), the bibilical figures they created for their crèche are still in pristine shape. 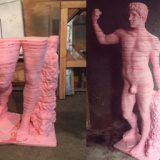 They learned that the FoamCoat not only protected the figures from the winter elements, but also during transport back and forth from storage over they years.